The BBC Asian Network is to revamp its shows and presenter line-up in a refocusing of the station to cater for young Asian audiences. Long-serving presenters including Ray Khan will leave the Asian Network as part of the changes that have been approved by the BBC Trust, which also include the abolition of a requirement to broadcast 20 hours of programmes in other languages. The new line-up, targeting under 35s, will be phased in from November 2016, with a new weeknight schedule from 9th January 2017. Multi-talented comedians and actors Mawaan Rizwan (Murdered By My Father and How Gay Is Pakistan, BBC Three) and Emily Lloyd-Saini (Edinburgh Fringe, 2016) will open the week with a brand new show on Monday nights from 9pm. There are new roles for current presenters on the station. Harpz Kaur will now have an extended role on Breakfast across the weekend (Saturdays and Sundays, 6-10am). Harpz joined the station from a community radio station in Leeds last year. Guz Khan (Man Like Mobeen, BBC Three) takes on a new weeknight slot (Tuesdays, 9pm-midnight) bringing a more after-hours flavour to his show with his own brand of ‘comedy and grime’. Yasser's BBC Introducing show, dedicated to the best in new Asian music from across the globe, now moves to Wednesday nights (9pm-midnight). Yasser will also be taking control of The Official Asian Music Chart (Saturdays, 3-6pm) where he’ll be running through the Top 40 streamed and downloaded Asian tracks each week. A brand new show, Friday Night Residency (9pm-midnight), will set the tone for the weekend, featuring mixes from a range of new DJ talent on rotation. Nottingham-based new talent for the station is Jasmine Takhar who will be the first to step up to the decks, joining from community radio stations Kemet FM (Nottingham) and Westside Radio (Southall). This year she has been shortlisted as a finalist for Outstanding Young Journalist of the year at the Asian Media Awards. Finally, popular YouTube star and Gujarati community icon Parle Patel (Planet Parle) joins Asian Network to present his new self-titled programme each Sunday night (9pm-midnight) featuring the best in upfront Gujarati pop and Bollywood beats. Parle presents his first show on Sunday 6 November 2016. Among those making way for the new shows is Ray Khan, who has presented for Asian Network for over 25 years. He is taking a sabbatical from broadcasting to focus on a new business venture. Ray started his broadcasting career at BBC Asian Network in 1990, presenting Wednesday night magazine show ‘East In West’ from Pebble Mill. He has confirmed that he will present shows across the BBC and commercial radio in the future. Alpa Pandya has taken the decision to leave after four years to fully focus on her career as a professional business coach. 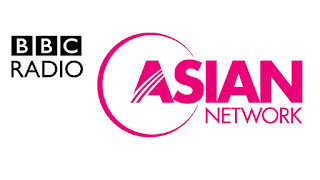 Suzi Mann remains as presenter of The Official Asian Download Chart until the end of the year. Both Alpa and Suzi joined the Asian Network in 2012. Sunday programmes for Asian communities are unaffected by the changes.